This project is NOT difficult at all! 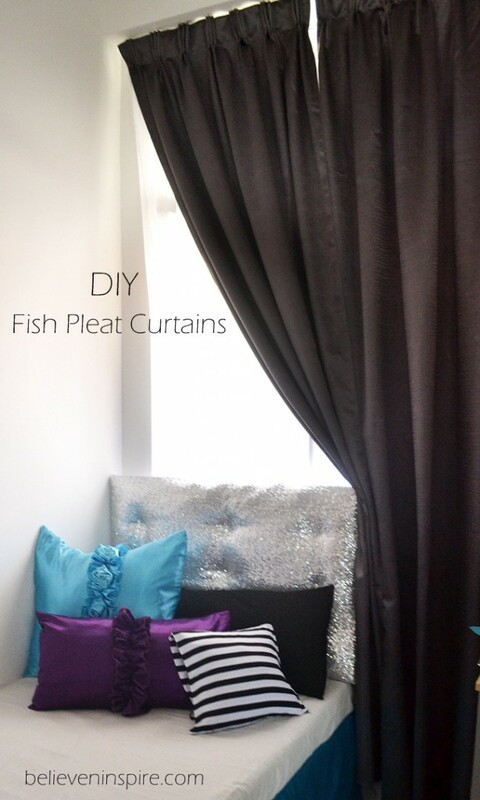 If you would like to know how to make simple curtains or how to make curtain panels read on. Step 1: Fold all the edges. 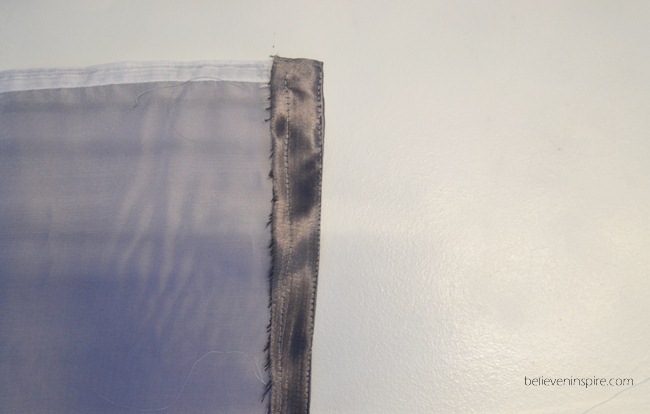 If you are dealing with a slippery fabric, it would be very helpful to fold and iron the edges first, so that when you are sewing, the same length is maintained throughout. So, first I folded and ironed all the edges of four sides. Next, I sewed along the edges of the two longer sides leaving the top and bottom part out. You can sew the edges of the bottom part after hanging the curtains to be sure that they are just above the ground. Since we don’t have multiple railings in the dorm, I wanted to sew the translucent fabric with the main fabric. So, I placed the two fabrics together so that their top edges were aligned and sewed. 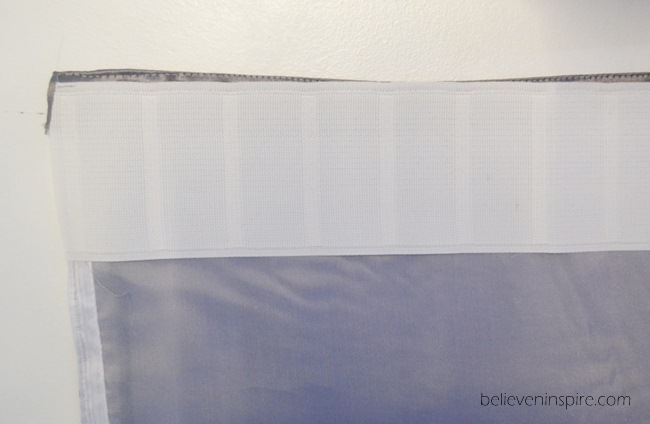 Then, I folded the top edge along the crease that I had ironed earlier and sewed. Next, I sewed in the tape on top of the folded edge, making sure that the part with holes was facing downwards to insert the hooks. Make sure you choose the hooks which end off in the middle so that your railings are covered. It’s totally upto you how many pockets you want to cover with each hook. I inserted all the four extensions of the hooks in different pockets, leaving one pocket between each hook so that it’s not too concentrated because when I first inserted the hooks they were all too close together making the width of the curtain short. That’s IT! Press your curtains and hang them in place! So, did you like these easy window treatments? 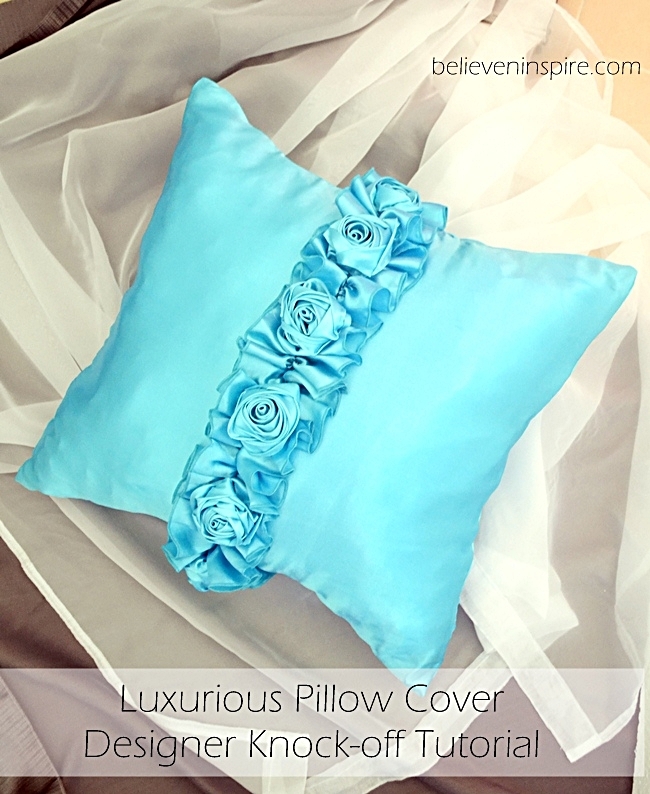 Now you can sew designer curtains with perfect finish through (affiliate link) this online Craftsy class. 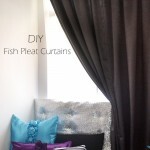 In this class you will learn how to sew 3 different types of curtains along with some tips and tricks on installation. 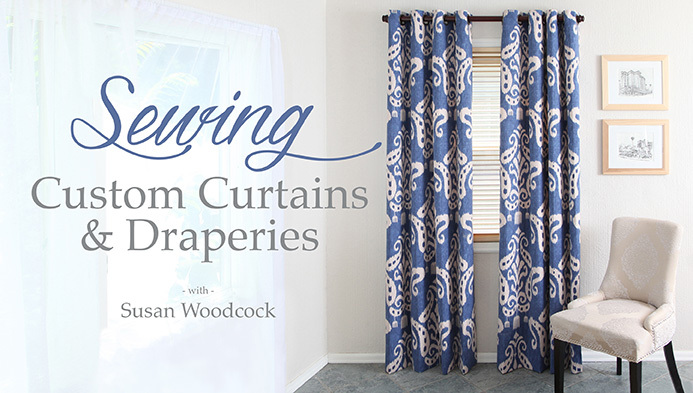 So, if you want to learn how to make perfect curtains from a pro this is your chance!